I've just visited a friend of mine who collects Royal Jewellery, and seeing her collection brought back memories of my own erstwhile collection on the Diamond Diadem. It is also known as the George IV State Diadem, made in 1820 for his coronation. Being a Machin fan it is easy to guess why I quite liked this particular bit of royal jewellery. The diadem is of course mainly known because of the Machin and Wilding portraits of Queen Elizabeth. 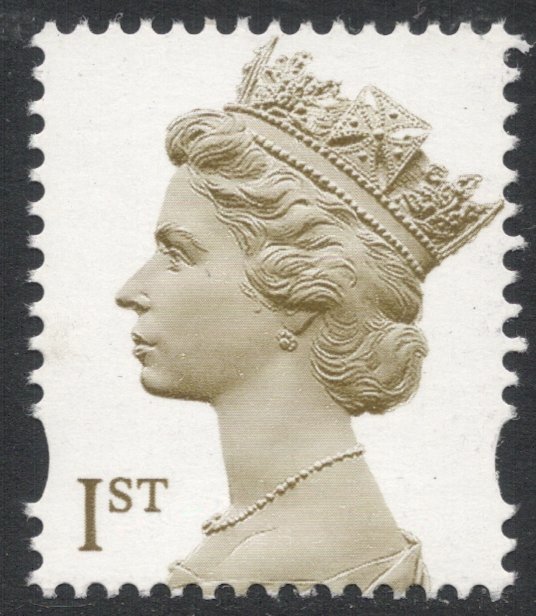 In fact, you'd be pretty hard-pressed to find any other examples of the diadem on stamps. But thanks to this year's Diamond Jubilee, it would be possible to enlarge the collection quite a bit. 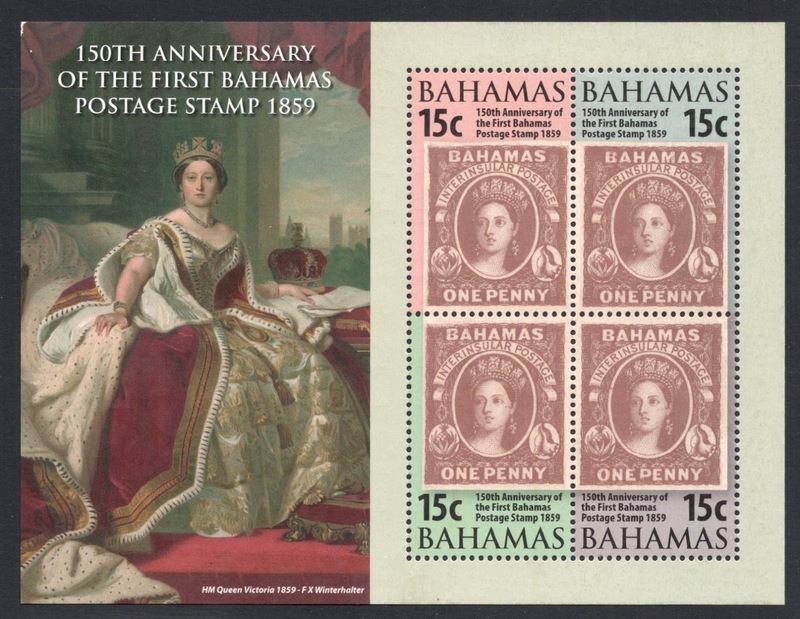 First of all, we have two new British stamps with the diadem on, both part of the miniature sheet which was issued in February. 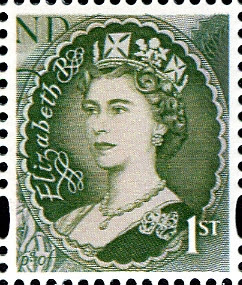 The two stamps show part of old banknotes with the Queen's portrait on. 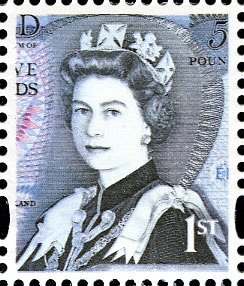 Of the other jubilee stamps, I am quite fond of this Australian stamp, which shows an utterly charming portrait of a young queen. 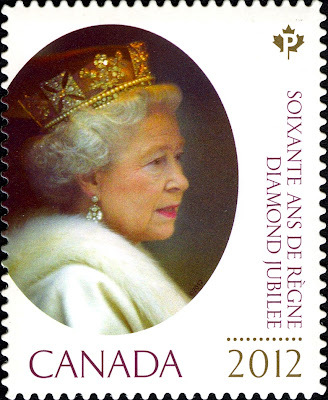 To prove that Elizabeth can still be just as charming today, Canada issued my other favourite Commonwealth jubilee stamp. Again, a wonderful portrait of the Queen. It's not just Elizabeth who has worn the diamond diadem, though. Victoria, too, used to wear it, and her inclusion in the recent Kings and Queens series makes for a perfect addition to our theme. 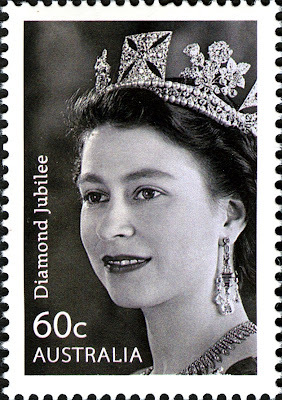 She did of course appear on a 1987 GB stamp as well, wearing her diadem, and could one maybe even venture a guess and say she's wearing it on all her contemporary British stamps? I'm not sure, though it could well be, for in those days the diadem was often portrayed looking like anything but the real thing. On the famous Chalon portrait for example, Victoria also wears the diadem and there, too, it doesn't look that much like the real diadem. You see, the real thing only has four crosses and four 'floral bunches' (consisting of roses, thistles and shamrock), and on the Chalon portrait you can already see six of those eight features whilst only seeing the front bit of the diadem, so that just doesn't add up. 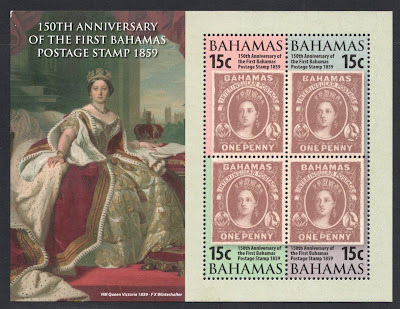 I seem to remember that there are also stamps of Queen Mary (and maybe even Queen Alexandra?) wearing the diadem, but couldn't find any. I'm sure, though, that there's some staunch royalist collector out there who can enlighten me! The Chalon portrait would appear to be an instance of artistic license. Well exactly! 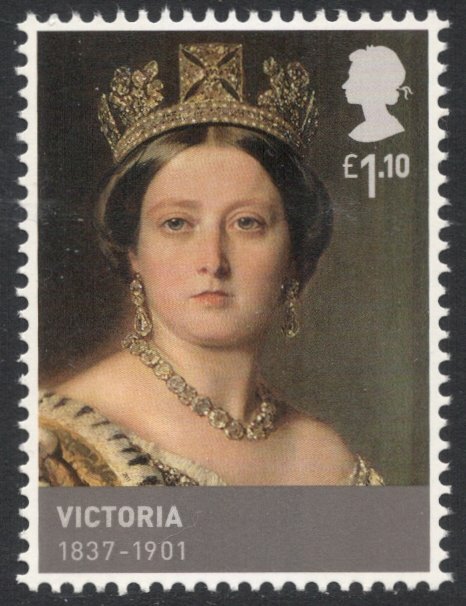 I was wondering that as well, which is why I put the remark in with regard to Victoria's contemporary stamps.